“Starving artist” sounds romantic in theory, but the reality for liberal arts majors is often anything but. Forced to choose between passion and a reliable income, creative types often abandon their talent to pay the bills. 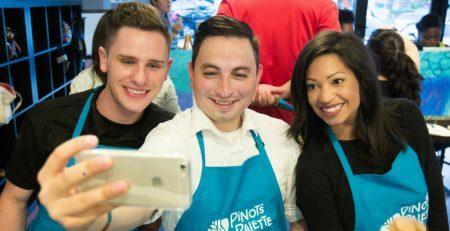 But paint and sip franchise Pinot’s Palette® seeks to change that starving artist mentality. 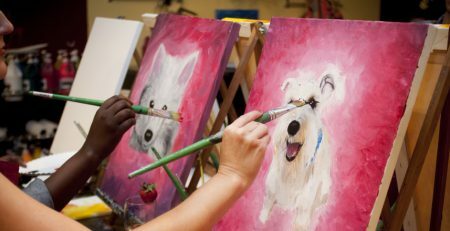 Pinot’s Palette helps artists do what they love by giving them a flexible schedule and a regular source of income. To that end, Pinot’s Palette creates hundreds of jobs for artists in over 140 studios across the U.S. and Canada. In addition to teaching classes, artists can earn continual commissions through the company’s Artist Reward program. 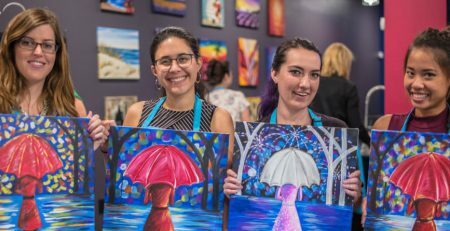 Artists submit ideas for new paintings to add to the Master Painting Library and earn a commission each time the painting is taught at any Pinot’s Palette studio. It’s quite lucrative for artists who produce a lot of paintings. The program sets Pinot’s Palette apart from paint and sip competition, and encourages artists to innovate and create. 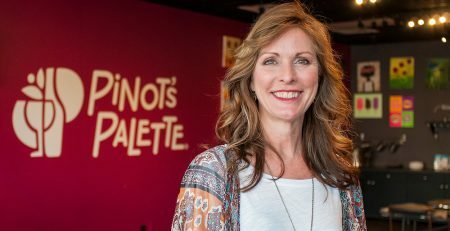 One of those artists, Natalie Tremayne of the Henderson, Nevada Pinot’s Palette studio, pushes the envelope to bring unique projects to her studio’s guests. Natalie has been painting since she was 13 and is also an oil painting instructor. 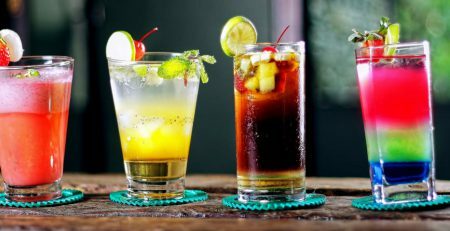 She scours Pinterest for ideas and finds a sounding board in her regular customers. 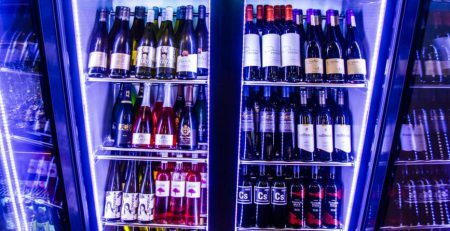 “I have a very good relationship with a lot of our customers,” she says. 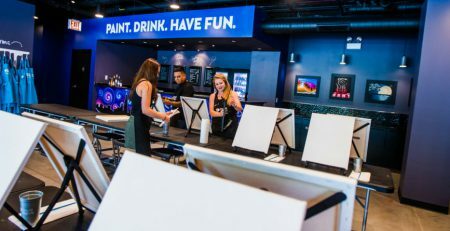 “They give me ideas, and I take them and change them up a little bit.” She realized many of these customers were running out of wall space in their homes for 16 x 20 canvases. So, Natalie started incorporating wood pallets, glass blocks, and wine bottles into the studio’s lineup of projects. Her studio owners, Reed and Judy Alewel, are supportive of her ideas. In the four years that Natalie has worked for the couple, they’ve developed a collaborative relationship. Natalie comes up with a new idea and approaches Reed and Judy, who usually sign off on her epiphany. 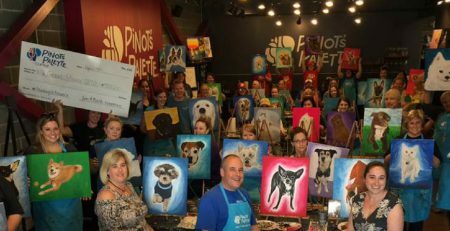 Successful studio owners, an excited artist, and happy customers: it’s a winning combination for the Henderson painting studio. Emma also appreciates the financial stability. In her three years at Pinot’s Palette, Emma has accumulated a portfolio of about 150 paintings. 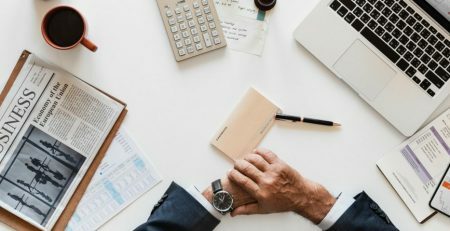 Adding these to the Master Painting Library brings her a significant stream of revenue, which she estimates contributes more to her monthly income than even her classes. “I love that I can make a living making art,” she says. Real artists finding real opportunity. 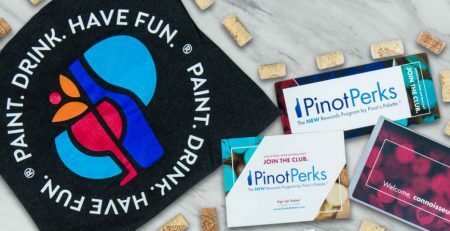 It’s just one way Pinot’s Palette stands out from the competition as the franchise seeks to provide a rewarding experience for valued franchisees, artists, and customers alike. Learn more about opening your own Pinot’s Palette studio!